Sign up for the homebrew contest HERE. Homebrewing is the epicenter of the Sixpoint spirit… the essence of formulation is captured in garages and apartment kitchens across the globe. So we love giving back, and doing events, like this, and this, and this, annnddd this, with homebrewers. 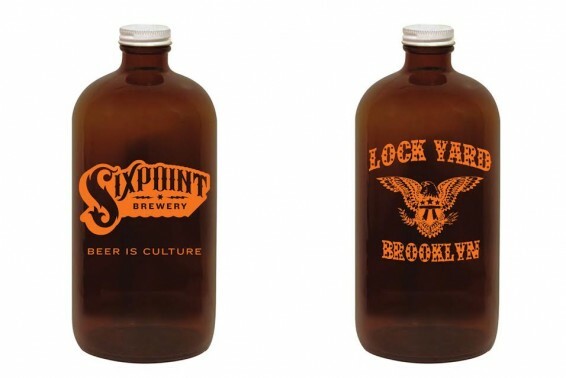 Our latest homebrew themed event is October 24th at Lockyard in Bay Ridge, Brooklyn. We call it… LOCKTOBERFEST. We’re hosting some 20 homebrewers to post up in Lockyard’s killer backyard and pour beers for 4 hours. There will be judges, a fan vote, beer, prizes, sampling, fun, and beers. Grand Prize – come to Sixpoint’s small-batch facility and brew your beer. If you’re not a brewer, still mark the date. We’ve got a full tap takeover at Lockyard, and $20 gets you into the backyard for all you can sample homebrew, plus a custom Sixpoint x Lockyard 32oz growler of the brew of your choice.